Axel Ehnstrom we met him Paradise Oskar back in 2011 when he represented Finland with his entry Da Da Dam. He had sybmitted last year too a song for the country’s national selection. Tim Schou was the frontman of the group A Friend In London who represented Demmark the same year with their song New Tomorrow. Thomas Stengaard is a name that certainly outstands , as he is not contributing only in this year’s German national selection but he was the composer of the Eurovision 2013 winning song Only Teardrops, representing Denmark. 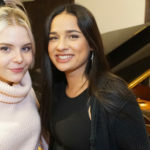 Laila Samuelsen participated in the Norwegian national final of Melodi Grand Prix 2016 with the entry Afterglow which although was a favorite to win finished eventually 4th. Apart from the composer’s musci proposals the acts themselves can have their own songs or entries from composers outside the workshop. The final song that will compete in the final with each finalist will be determined by the acts in collaboration with the national broadcaster. Germany is one of the Big-5 countries and qualify in Eurovision directly in the final. The country has participated in every edition of the Eurovision Song Contest since 1956, with one year’s exception back in 1996. The country has won the competition twice, namely in 1982 and 2010. 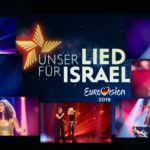 In 2018 Germany placed 4th in the Grand Final of the Eurovision Song Contest in Lisbon with Michael Schulte‘s You let me walk alone.